The Carson Scholars Fund (CSF) was established in 1996 by Dr. Ben Carson. The fund awards 500 scholarships annually and has provided more than 8,000 scholarships since its inception. This scholarship program is unique because it is not limited to high school seniors, and instead is open to students in grades 4 through 11 who “excel academically and are dedicated to serving their communities.” The scholarships are for $1,000 each, and recipients may re-apply in future years. In December 2017, Compass was approved as a participating school in the Carson Scholars program. 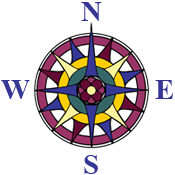 As a recognized school organization, Compass can nominate one student each year for consideration, and the Compass nominee with be entered in the national pool. Each year, Compass will conduct its own selection process in the fall with a deadline in early December. A student’s application to Compass is a commitment that he/she agrees to compete the national application process to the CSF which includes another application, an essay, community service details, report card, and a teacher recommendation. The Compass nominee’s national application will be due in early January each year. Being a school-level nominee is not a guarantee of a scholarship award, but instead advances one student to be considered in the national pool where 500 awards will be given. The Compass candidate must be enrolled in a Compass class during the fall term prior to the December/January selection process. The Compass candidate must be in 4th through 11th grade. Grades shall be defined as the grade level a student would be in if enrolled in a traditional public school by birthdate without grade skipping, repeated grades, or delayed school entry. The Compass candidate must be legally homeschooled in accordance with the standards of his/her home state or jurisdiction. Compass candidates will be judged on two, equally weighted aspects. As a guideline for planning for future years, see the recent past application form and letter as an example of the Compass selection process.